Studying in college, you probably often find yourself hunting for various student discounts, special offers and college student deals in order to save money. If your education is not free, it does not take long to end up with a huge student loan, which will burden you upon graduation. I don’t need to tell you how expensive textbooks are nowadays; you buy them every semester, and they do break the bank. If you are not living at home, you need to pay rent and buy groceries, which makes you miss mom’s cooking along with dad’s wallet. Perhaps, this is the first time you are living on your own, and you are overwhelmed. Don’t be. Instead, learn how to budget. It is a skill that, I promise, will improve your overall life quality – during and after college. Not only will budgeting help you avoid getting into debt, it will also fill you with self-confidence, as you will know for sure how you will pay your bills and will not have to worry about tomorrow, or the day after tomorrow and so on. 1. Determine your monthly income. How much money, on average, do you have to spend in a month? Take a blank sheet of paper and write down how much you get paid for working, as a stipend or as an allowance from your parents. Since budgeting means creating a long-term plan, do not include any inheritance money or any amount that you do not receive on a regular basis (for example, lottery winnings, birthday gift money, and so on). If you do not have a stable income – for instance, if you work on commission – I would suggest taking an average amount you make in a month. If in January you make less than that amount, you will have to make up the difference in February or March, but if you make more than that amount in April, put the money aside for when the business is not doing as well. 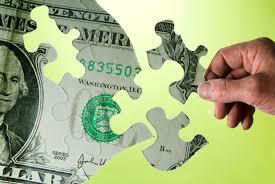 The same rule applies to any sort of irregular income, such as grants, lottery winnings, etc. This includes rent, utility bills, any school-related expenses (tuition, books, etc. ), transportation, health insurance, Internet and cell phone service, and so on. If you pay your tuition once a semester, divide the full amount by the number of months in a semester, or calculate the total for the whole year and divide that by 12. Also, include an average amount you spend per month on food, laundry and other necessary expenses. This is also a good time to think about how you can save money on your expenses. Check newspapers and magazines to see if you can find student coupons or promo codes or move into a cheaper apartment. Ask around. If your classmate uses less expensive cell phone service, look into it. If you learn to be frugal, living on a modest student budget, you will gain a skill that will come handy when you have to save money to buy a house, a car or a yacht – whatever your heart will desire and your wallet can afford. 3. Compare your income and your expenses. Ideally, your income should be bigger than the amount you spend on bills, leaving you some room for unplanned expenses, such as a pretty new dress or the newest video game. Note how much money – if any – you have left after you pay all of those expenses. Although you are free to spend any excess bucks on spoiling yourself with food and entertainment, I would suggest opening a savings account and determining an amount you can deposit into it on a monthly basis without starving yourself. Later on, you can use this account for any unplanned expenses or gifts to yourself. If, however, you spend more than you earn, you should start thinking of ways to increase your income. For example, you can get a part-time job on or off campus, ask your parents to increase your allowance (you can show them your budget and explain why an increase in necessary, and, I am sure, they will be impressed by your newly gained budgeting skills). Just like I mentioned above, you should plan to earn a little bit more than you spend and try to put some money aside for unplanned expenses in case you get sick, need new clothes or want to go out more. Applying for a new credit card would not be a good solution for this problem, as it could add on extra temptations and increase your expenses that your income will not be able to cover. 4. Recalculate your budget as needed. 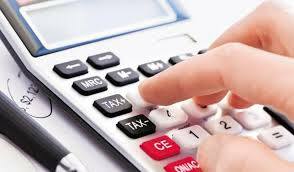 It would be reasonable to re-budget every time your income and your expenses change significantly. For example, your tuition probably goes up every year, so you need to take that into consideration. Same applies to your roommate moving out, the price of groceries skyrocketing or your parents suddenly deciding you should support yourself. When you first learn to budget, you can even recalculate your income versus your expenses every month, or even on a weekly basis. This will depend on how often you get paid. If your parents send you money once a month, you will have to plan on living off that money for the whole month. Ekaterina Lalo is the Campus Clipper’s guest blogger. Ekaterina regularly blogged for the Campus Clipper in 2011 and participated in the making of the Campus Clipper’s NYC Student Guide. She is currently working as an Editorial Manager at Phantom Communications, but she is still passionate about writing for students.